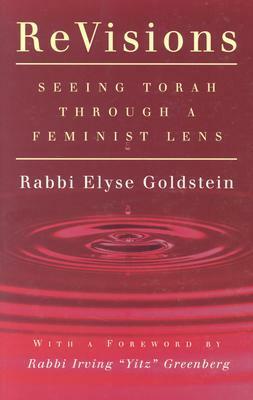 Rabbi Elyse Goldstein uses a feminist lens to both defend and challenge the Torah in ReVisions. Without rejecting the Torah outright or turning to midrash to explain the gaps and issues in the text, Rabbi Goldstein offers new ways of understanding, or revisioning, the ancient books. She points out ambiguous language in Genesis regarding God and adam; examines the power dynamics between sisters Leah & Rachel, both married to the same man; and emphasizes that two named midwives (Shifra and Puah) were central to subverting Pharaoh's intentions for the Hebrew boys in general and baby Moses in particular. It is interesting exegesis but I found the book lacking a larger framework to hold all the items she details together. Although I respect the difficulty Rabbi Goldstein faces by living as a feminist within a patriarchal religion, I can't help but be bothered by her assertion that 'we want to bring down the fortress of patriarchal ownership of the Torah with the tools of the Torah itself' (p. 32) when I recall Audre Lorde writing that 'the master's tools will never dismantle the master's house.' But that's an issue with the house of God--if you choose to live within organized religion, you have to fight oppression from the inside. I'd recommend Judith Plaiskow's Standing Again at Sinai for looking at Judaism through a feminist lens. Although it is a more general text than ReVisions, Plaiskow offers what I think is a more encompassing view on how to rethink an inclusive Judaism. A great starting place if you are interested in feminism, especially Jewish feminism.